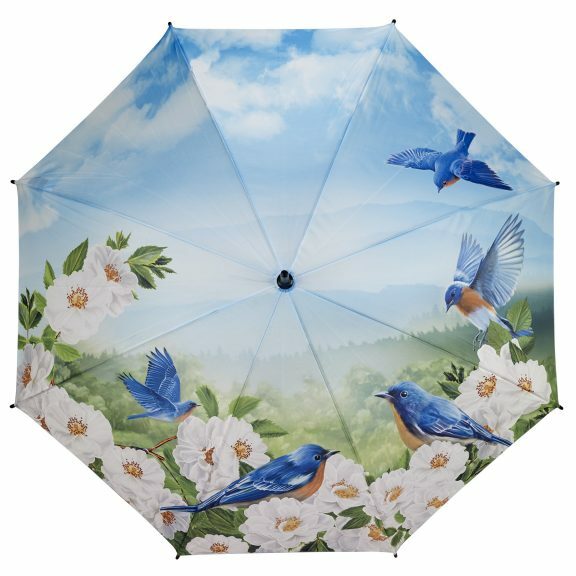 This stunning Hautman’s Blue Birds Umbrella has a beautiful scenic view of pretty bluebirds and flowers set against an idyllic summer’s day landscape of countryside and blue skies. If you’re looking for an extra special art umbrella as a treat for yourself or as a gift umbrella for a friend, surely this is the one? Beautiful design from the renowned Hautman brothers studio. 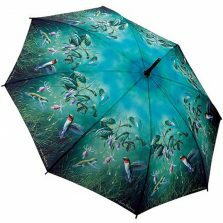 This stunning birds umbrella is walking stick length and has a print quality second to none. 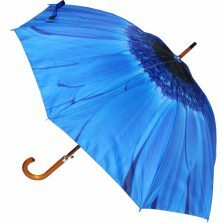 With a pretty patterned polyester canopy, this brolly is sure to keep you nice and dry on a dark and dreary day! They feature virtually unbreakable fibreglass ribs and are automatic opening. Available in walking length, at 89 cm long with a diameter of 104 cm when open. Bound to brighten any rainy day! 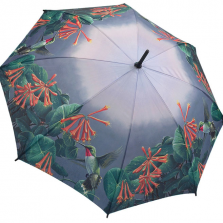 Features a duck egg blue canopy and stunning blue birds, this beautiful birds umbrella is sure to brighten up anyone’s day and makes the perfect gift for you or a loved one! Not the right umbrella for you? 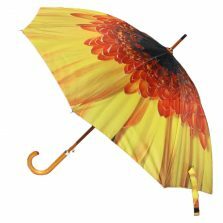 Check out the rest of our quality art umbrellas!